A group of search dog handlers training in the Lake District joined rescuers who went to the aid of a walker who injured her ankle. 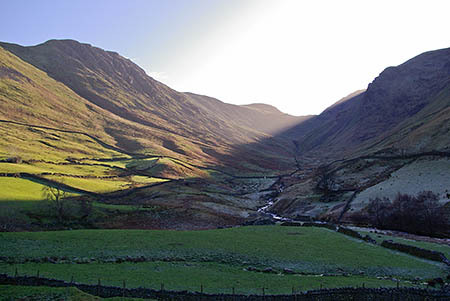 The 59-year-old woman from Carnforth slipped while walking today in Pasture Bottom below Hartsop Dodd. Patterdale Mountain Rescue Team was called out at 3.30pm and seven of its members were joined in the operation by six members of the Lake District Mountain Rescue Search Dogs Association who were training in the Ullswater valley. She was treated at the scene, her leg splinted and then she was stretchered to a Land Rover ambulance which drove to Hartsop and then on to the team’s headquarters, where she was transferred to an ambulance which took her to Cumberland Infirmary, Carlisle. The rescue lasted 2½ hours.